During these past 4 years at RPI, I have had the opportunity and pleasure of taking an active roll in many extracurricular activities around campus. I am a sister of Alpha Gamma Delta, and a member of Pi Mu Epsilon, a national mathematics honor society. I serve as the senior class representative to the Dean of the Lally School of Management, where I meet with Dean Begley monthly. Additionally, I am a member of the Women at Rensselaer Mentor Program, helping incoming freshmen with the transition between high school and college. I have been a member of the Women’s Club Soccer team for four years, and have served as both President and Captain. After playing Division III Women’s Varsity Basketball for a year, and having great experiences with club soccer, I decided to found a Women’s Club Basketball team, of which I have also served as President. I spend my weekends in the winter as a trip leader in the Ski and Snowboard Club, helping to organize and run trips to Vermont. I am a member of the Roots of Africa Music Ensemble on campus, and have learned how to play African and Afro-Cuban music on instruments originating from both Africa and Cuba. 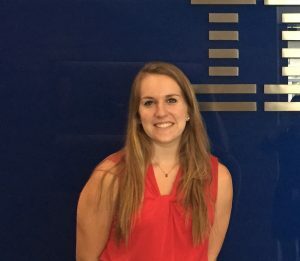 This past summer, I received a fellowship from the Lally School of Management, where I spent 9 weeks in Greater China conducting research with IBM.